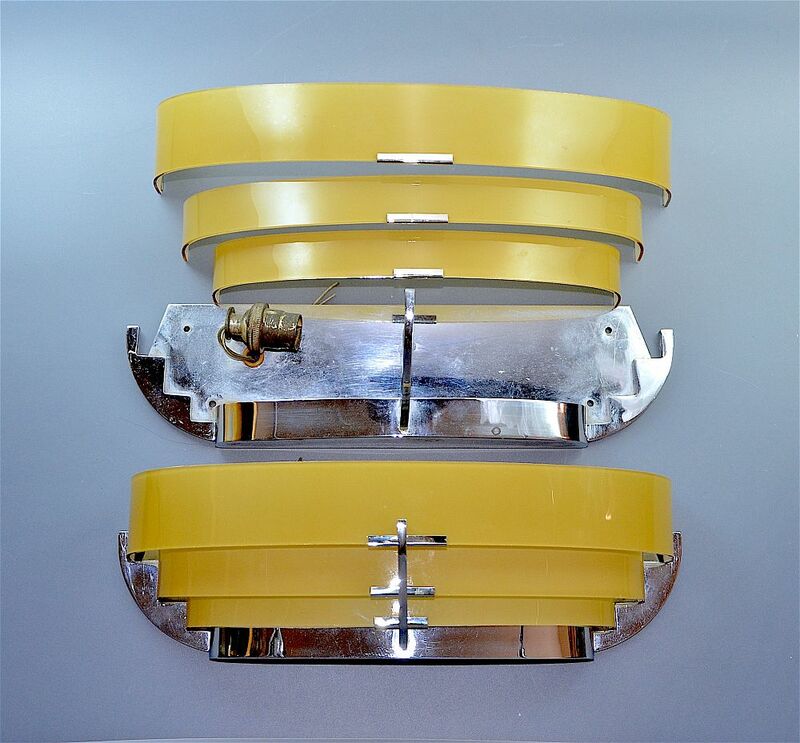 These fabulous wall lights were made during the Art Deco period. Each chrome frame has a flat back with rounded sides, a closed base and a rounded "prow" that protrudes from the centre of the frame. Each shade is in fact three separate pieces of long curved end pale honey coloured glass of graduated lengths that fit onto the frame - the smallest piece at the bottom. The sides of the frame have a step fitting onto which the glass fits. 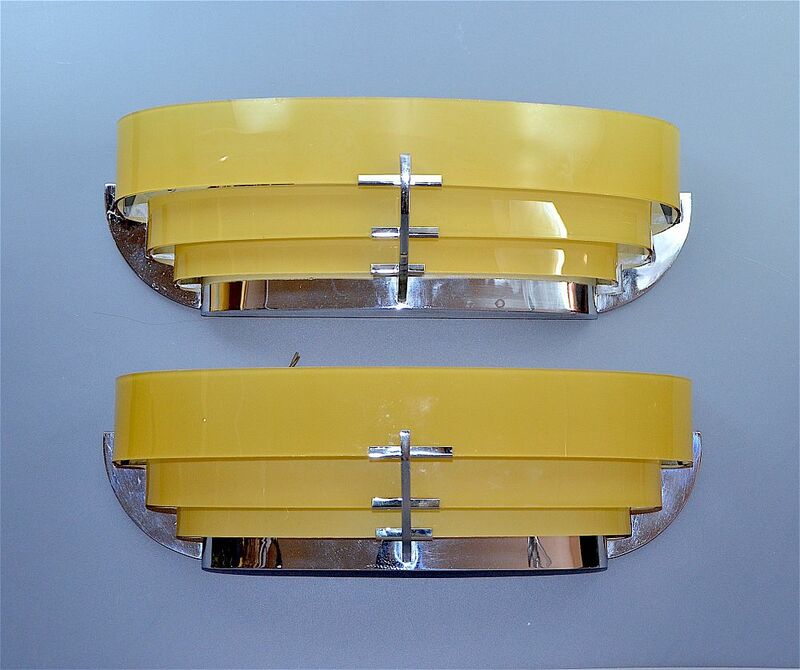 The centre of each piece of glass has a small chrome sleeve on the bottom side to protect them when sitting in the stepped "prow" Very typically Deco and extremely stylish.